Last week, Kate and I took a trip to see my Grandmommy…her Great Grandmommy. I hadn’t been back home in nearly 15 years, so on the way back to Charleston, I thought we may as well take a big stroll through memory lane. So, we also stopped in my old college town, and I showed my little girl where her dad and I went to college. I wasn’t quite prepared for the emotions that hit me driving through campus…it was like being right back in the thick of things. I remembered what it was like driving up to my new dorm knowing that my mom and sister would be leaving me there. I remember late nights chatting with my girlfriends and having to walk down the hall to the community bathroom to take a shower in one of the four tiny curtained stalls. I wouldn’t have changed a thing about my first year in a college dorm, except maybe the shower situation. 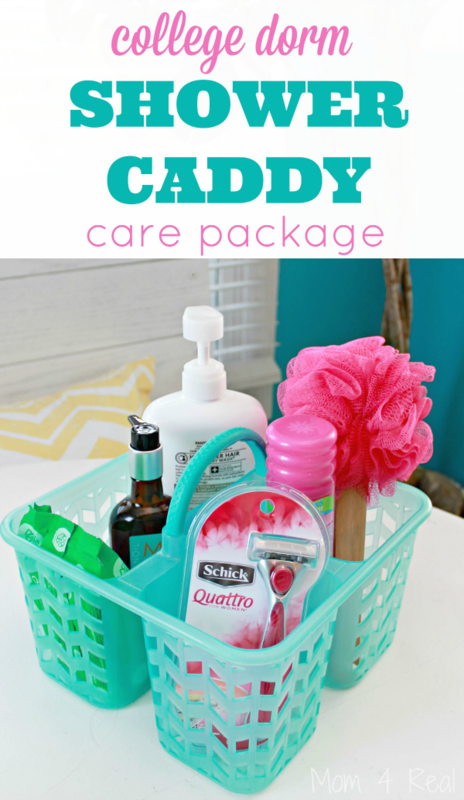 My son will be heading off to college next year, but one of his friends is going this year, so I thought I would put together a college dorm shower caddy care package before she leaves. 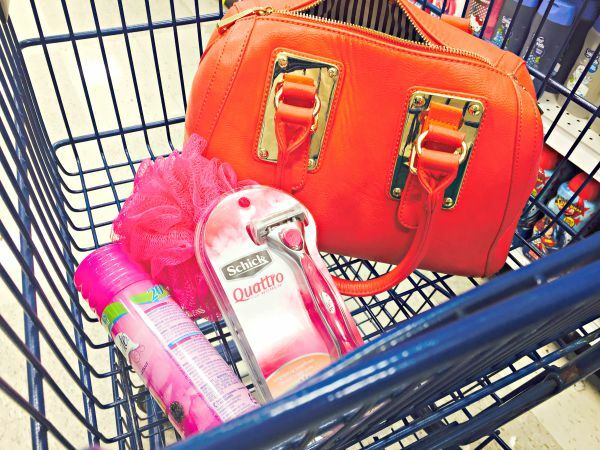 I stopped at Meijer to pick up a few essentials like a razor, some shaving cream, a bubble maker, some shower gel, shampoo, makeup remover wipes, and of course, something to corral them in. I picked out my favorite Schick® Quattro® razor because it’s the razor I use for a nice close, smooth shave. I simply tucked it into the caddy along with all of the items I remembered needing (minus the shower shoes she already bought) took a step back. I remembered how excited I was each time my family sent me a care package, and can’t wait to send her more goodies in the mail! 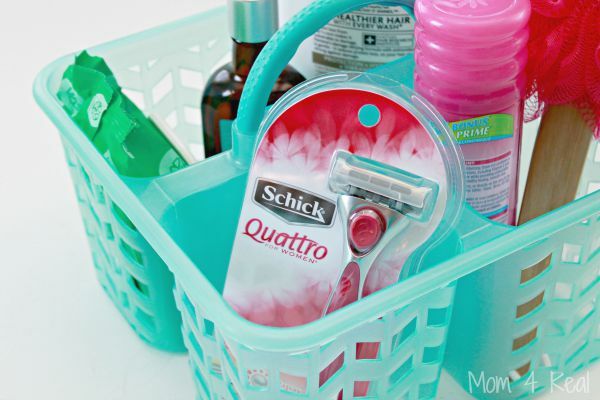 If you would like to purchase a Schick® razor in your Shower Caddy…or heck, if you’d just like to buy your own (for both men and women), Here is a link to a Buy One Get One Free Coupon that you can use at Meijer, Rite Aid, Ahold or Kroger, and HERE is one for Dollar General! what were the other three things?